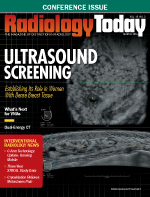 Radiology practices face a climate of increasing competition that requires an in-depth examination of their own business models. The emergence of accountable care organizations (ACOs) and integrated service models, ongoing relationships between teleradiology groups and hospitals, competitive hospital contract bids, and hospitals forming their own radiology groups have practices realizing that the days of “doing what has always been done” are over. Market trends suggest that the immediate focus for many hospitals is these nontraditional service options. In addition to competition, an environment of increasing regulations has many radiology practices facing tightening cash flow. The result is the growth of larger national practices, various new care delivery models and, in the worst case for many, a loss of group independence. One thing is certain: Traditional radiology practice models now are being pressed from multiple directions. In this complex era of health care reform, every practice arrangement must be built on true clinical integration; whether a radiology practice is independent or employed by a hospital, nothing is sustainable without it. The growth of accountable care models, bundled payments and quality reporting, and payment initiatives will force integration. Hospitals are looking ahead as they consider ACOs and integrated service delivery. Faced with reduced reimbursement, hospitals often offer pay-for-performance incentives for their physicians, both those employed directly or through a services contract. Hospitals that use employment-based physician staffing in place of a traditional contract model with a radiology practice present both an employment option and potential competition for radiologists. All of these details create a need for radiology practices to improve their relationships with hospitals in an effort to maintain autonomy. Hospitals should be viewed as both partners and customers in the minds of radiology practice stakeholders and leadership. What should radiology groups do first regarding a positive hospital relationship? They should consider what hospitals always have wanted from radiology groups: more coverage of related services. With Medicaid expansion and the launch of insurance exchanges, this desire likely will only increase. Hospitals also want groups with physicians that don’t create problems and records of referring physician satisfaction. And they always want quicker turnaround times. • Economic pressures are creating an adversarial climate in some situations, while pushing physicians and hospitals together in others. Competition for services is a hot-button issue, and hospitals often require strategic alignment from groups with no competing or outside ventures. • As the health care community tries to transform from a volume-based to a value-based system, cost-containment pressures increase. To succeed, hospital leaders must manage costs by identifying effective resources and integrating service distribution plans. Often, the radiology group will be required to employ cost-containment strategies for hospital expenses, including expensive equipment and facility space. • Many hospitals require committee participation and strategic planning involvement from physician partners. This means health systems are encouraging physicians to serve on various boards and committees at every level of the organization. Some health systems have dedicated physician organizations to provide direction to the institution, while others have physician leadership training programs to ensure there are physicians with the skills to fill key roles. Groups seen as valuable contributors in these areas have an advantage over those that don’t participate. • Patient satisfaction always has been and still is what hospitals require most from radiology groups. While some facilities are moving toward employing physicians, many hospitals still avoid it. One reason is that history suggests that employed physicians aren’t as productive as those who are independent, a clear problem when economic success is based primarily on procedure volume. If, as expected, reimbursement shifts toward rewarding so-called value more than volume, radiology will be expected to demonstrate that value. Radiology still impacts the health care industry and has a long history in the hospital setting. Radiologists have undertaken several important initiatives to better demonstrate that value, including communication about utilization rates, mammography recall rates, Joint Commission requirements for performance assessment and costs associated with transcription, and stipends. Safety and quality measures, such as turnaround times, interpretive accuracy, and critical results reporting, are other areas in which radiologists are working to better quantify that value. Keeping in mind that there are more options for hospitals now than ever before, radiologists working in independent groups should become sensitive to the issues mentioned above. The competitive, threatening atmosphere among hospitals, payers, and other groups can foster bad morale and unintended consequences for independent groups. For example, radiologists who feel threatened can exhibit behavior that affects group health, including rudeness, tardiness, incompetence, weak skills, poor work ethic, or confidentiality breaches. • reinventing the group culture. Once a practice has firmly established that it’s willing to improve its culture in an effort to help a hospital meet its needs, it also must focus on its own growth and diversity with effective outpatient and system strategies. This can be done using service execution, finding new sources of revenue, and growing its distributed reading business, among other ways. Aligning with the hospital also is crucial to a group’s growth, especially in the planning of physician management and recruitment efforts. A radiology group can strategically build its relationship with a hospital by first adding value where it’s needed. Performing clinical integration and reporting its value therein is a great first step while also striving to meet the customer-focused service the hospital demands. Additionally, meeting the referring specialists and generalists’ needs are ways radiologists can build relationships outside of the hospital’s leadership, strengthen their communications strategy, and gain market leadership. Exclusive of the hospital’s needs and wants, radiology practices that operate in a businesslike manner can showcase more confidence in both leadership and service execution. Contrary to the beliefs of many physicians, just because a practice runs in a businesslike fashion doesn’t mean patient care is forgotten. Patient care is a practice’s business. Soundly run businesses that can operate independently will garner hospital respect from the start. The bottom line is that, for an ideal hospital-radiology practice relationship to emerge, a combination of service, trust, financial viability, and common goals must be shared, which is where an ideal integrated model comes into play. There are various alignment models for physicians and hospitals that can give each the perceived benefits of closer alignment while allowing physicians to remain autonomous. Limited alignments give physicians more autonomy but modest financial rewards. With full alignment, autonomy is low, but financial gains are likely to be higher. Moderate alignments fall in between; the more limited the deal, the easier it is to get out of if problems arise. Clinical comanagement is one example of a moderate alignment where hospitals and physician groups work toward shared goals, such as lowering costs for particular services. Historically, gain-sharing arrangements have been against federal law, but with the advancement of ACOs, the concept has received more of a push as incentives are created to help physicians and hospitals save money and improve care. A comanagement agreement is when physicians are engaged through a contract to provide management services in concert with hospitals. The agreement usually has some form of fixed fees for services as well as performance incentives based on predefined quality, satisfaction, and/or efficiency metrics that help the hospital meet its goals. The purpose of clinical comanagement is to ensure collaboration between a hospital and a physician group in developing, managing, and improving the hospital’s quality and efficiency. Another goal is to maintain the physician group’s independence while better aligning both organizations objectives. Comanagement agreements often provide the right option for the practice that doesn’t desire complete hospital control or a “divorce” from the hospital. In a well-constructed agreement, both the hospital and the practice agree on how they will play ball, and each creates mutually beneficial provisions. The agreement can provide for performing a variety of services, including medical director services, strategic planning, scheduling and staffing, and human resources duties. The layout of a comanagement agreement starts with a shared governance structure with an agreement on complete data transparency. Physicians retain control but also commit to the care of the hospital’s resources. Performance metrics include evidence-based protocols and quality measures for baseline and readjustment. All services are set at a fixed price, and incentive compensation must be fair market value, all of which ultimately leads to increased value. A quality comanagement service agreement should reflect a clear understanding between the hospital and the radiology group as to what effect the hospital’s retained governance authority will have on the group’s ability to perform the management services it’s responsible for under the agreement. Provided the parties involved in a comanagement service agreement clearly understand their respective rights and responsibilities, the arrangement can enhance the physician group’s satisfaction with its hospital alignment by allowing it to participate in the hospital’s operational and strategic efforts. The hospital can gain from possible cost reductions and securing the services of a valuable physician group in an important service line for the hospital. As health care reform spurs the industry to focus on cost control and the delivery of high-quality care, improving relationships between hospitals and physicians requires immediate and ongoing attention. While there are various ways to structure a relationship and/or a contract with a hospital partner, radiology groups that move forward with a comanagement agreement can position the hospital as the customer, taking an approach that can yield increased value, quality, and harmony. Regardless of how an arrangement is structured, radiologists must remember that neither the health care market nor the government will solve these current instabilities and relationship woes. Radiologists must seek ways to reinvent their culture from within and approach new integrated care delivery with meaningful strategies if they want to maintain independence and sustainability. — David A. Myrice, CPA, MBA, is a director of practice management and practice administrator with Zotec Partners’ Toledo, Ohio, office.